Our team will contact you within 1 business day to explain the process. During the free consultation call our U.S. tax expert will answer your questions and give you the best solution. We will create you an account in our secure client portal and you can simply upload your documents through it. And that is it. Sit back and relax while we take care of your tax return. Your assigned tax accountant will prepare your U.S. tax return and send you for a final review and confirmation. We offer flat fees and you will be submitting the payment after all work is done. Easy and hassle-free. We always agree to a specific fee before we get started, so you won’t have any surprises on the final bill. 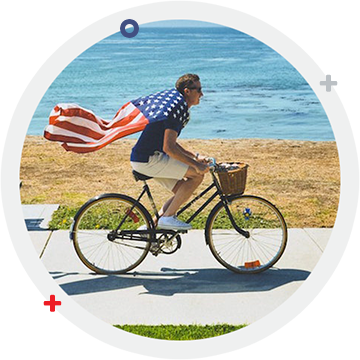 Our company was founded by a U.S. expat and CPA, rolled into one, for all of the other U.S. expats in order to take the hassle out of tax prep. Trust that your tax return is done by an expert in the best way. As we value your privacy highly, we never disclose any personal info. At 1040 Abroad, we love what we do and this is the key to our successful work and best results. We enjoy making your life easier. If you are an American living or working abroad, you will need an accountant who understands the nuances of the tax laws and how they affect you. A conventional accountant may not know the complex rules that govern how U.S. expat is required to report income, corporations, bank accounts, deductions, or how to legally reduce your tax obligations as much as possible. To make matters worse, even if you as a U.S. expat have gotten away without filing your taxes for some time, there’s no telling when you might finally find yourself facing the full scrutiny of the IRS, which could lead to consequences that range from fines of thousands of dollars, jail time, and with recent new legislation, even the loss of your passport. You don’t have to be intimidated by the U.S. tax rules for Americans abroad. 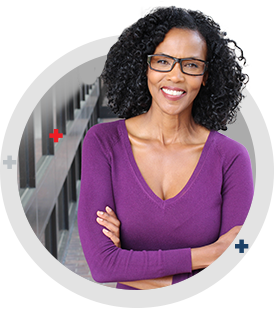 We won’t just help you to file your U.S. expat tax return – we’ll hold your hand and teach you the vital information that you need to know to save money, reduce your workload, and stay out of legal trouble for as long as you remain an expatriate. Thank you for requesting our free tax guide! It will be delivered to your inbox shortly. Olivier worked really hard to complete my wife’s streamlining process in a very short timeframe as we needed this completed quickly for visa application purposes. If you are an Expat and need your taxes sorted out while you are abroad 1040 abroad are fast, affordable and thorough! A lot less demanding financially and in terms of paperwork than a very expensive London UK-based international tax lawyer I used to establish my tax compliance with the IRS as an “accidental American”. Very helpful indeed with suggestions re blogs and chatrooms which discuss how to get out of the senseless, expensive and tiresome charade of submitting an IRS claim every year. Initially, I was nervous about contacting someone to get my tax problem taken care of. But the 20 minute Skype chat I had with Olivier Wagner helped me relax and from that point forward, it was easy. Olivier responded to my questions and emails in a timely fashion. The questionnaire and FBAR’s file was easy to use. In no time at all, my tax returns were filed. I would highly recommend 1040Abroad to expats or Americans living outside the US. Being an Expat and living in Canada since 1966 I only became concerned about my obligations to file a US tax return when I read several news articles in early 2012 about the possible penalties for not filing. I didn’t have a clue what to do and of course was concerned. I searched the web and found Olivier’s site. I contacted him and told him my story. He told me what docs he needed to get me on track… I sent them to him and he took it from there. Ever since then I rely on Olivier every year to keep me in compliance. I receive updates on new rules and regs on a regular basis from Olivier. I feel very comfortable using his service and will continue to do so. Olivier provides excellent service and is very easy to work with. Keep up the good work Olivier. Mr. Wagner has prepared for us some very complicated forms required by the IRS. He is prompt, efficient, extremely knowledgeable, and a pleasure to deal with. I would highly recommend him to anyone requiring an experienced and professional tax preparer. Living abroad provides new opportunities for you, both in your professional and personal development. And we discover the best options of your international situation to make effective use of available savings and deductions. What can be better than working remotely and then traveling around the world? 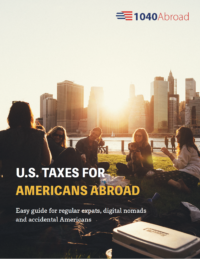 Keep enjoying your digital nomad lifestyle while we take care of your taxes. Did you recently find out that you were technically an American citizen and, therefore, subject to a lifetime of taxation that you never knew about? I’ve got your back as we have dealt with such cases before.